The 19-year-old San Marcos High School graduate and current Santa Barbara City College student isn't new the stage as he won Santa Barbara's Teen Star competition, a musical and performance-based awards show, in 2016. It hasn't been an easy road for Gillies. At age 3 he was diagnosed with Type 1 diabetes and approximately 11 years later he was diagnosed with Hidradenitis Suppurativa (HS), a rare and chronic autoimmune condition where painful lumps form under the skin and leave scars. While going through intensive treatment where he couldn't walk for two months, Gillies picked up a guitar and started playing. "The thing that really brought me through it was music," said Gillies. "It was an amazing physical thing that I had control over." 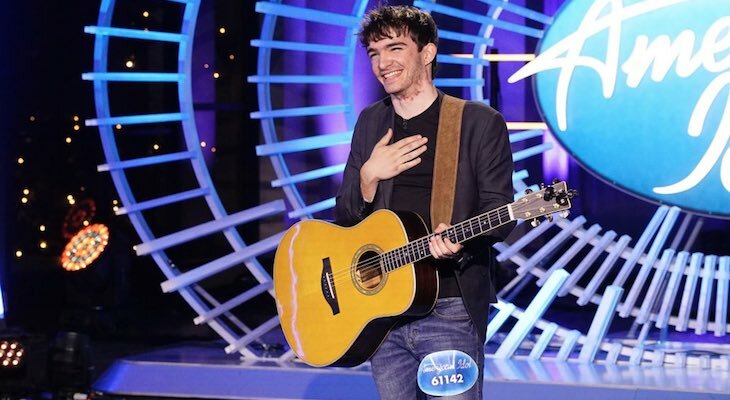 The popular televised singing competition aired on ABC and showed Gillies impressing judges with his guitar and vocal performance of "Make it Rain" by Foy Vance. Judges Luke Bryan, Lionel Richie, and Santa Barbara born Katy Perry, were taken aback by Gillies story and musical talent. Perry and Gillies connected over their Santa Barbara roots and she even remembered meeting the teen at the Kick Ash Bash in Montecito last year that fundraised for debris flow victims. "I'm so glad we meet again... I'm happy that my path has crossed again with yours," said Perry. After a soulful performance, the judges clapped and praised Gillies for his talent. "Every once in a while God sends reminders to all of us... I'm going to go to bed without a care in the world because of how you're looking and the positive approach you're taking. It's a perfect example for all of us," said Lionel Richie. Perry gave him the advice to dig in to make our hometown proud. "805! Yes!" Perry said while Bryan and Richie followed before handing Gillies the golden ticket. "I am simply not me without music, its how I bring out all my pain and show people who I am," said Gillies. That’s awesome! Good for him!! He is playing a local show tomorrow, 3/21/19, at Red Piano. $20 cover for general admission going towards a music scholarship! What a story and what a voice, Beautiful!